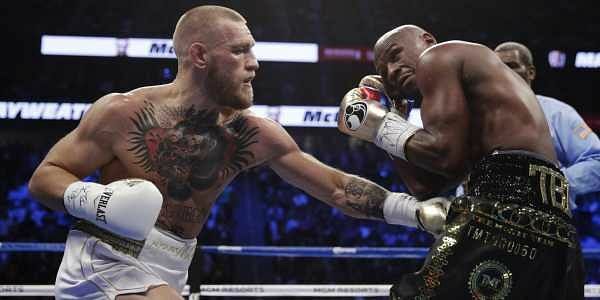 The country's sports committee said it is seeking to ban professional boxing and several types of martial arts over concerns of violence and extremism. DUSHANBE (TAJIKISTAN): Tajikistan's sports committee said Wednesday it is seeking to ban professional boxing and several types of martial arts in the impoverished ex-Soviet nation over concerns they promote violence and extremism. The committee said in a statement the ban was being proposed "taking into account the (need to) prevent violence, and prevent the lowering of honour and dignity in sport." The ban will likely be approved by the justice ministry. The committee did not target amateur boxing, a category in which the Central Asian country won bronze at the 2012 Summer Olympics in London and which affords fighters greater protections than pro boxing. But professional boxing and several other martial arts, including Mixed Martial Arts (MMA), fall under the ban. Pankration - a combination of wrestling and boxing with origins in ancient Greece - and grappling could also be banned. The measure comes at a time when the Tajik government is increasingly concerned about the influence of extremist groups in the secular Muslim-majority country. Tajikistan is the poorest of the former Soviet republics and shares a 1,300 kilometre-long (807 miles) border with Afghanistan to the south. Security services say more than a thousand Tajiks, many of them migrants that first moved to Russia in search of work, have joined extremist groups in Syria and Iraq, including the Islamic State. Media reported in 2015 that Tajikistan's three-time MMA champion Alan Chekhranov, who also went by the name of Abu Muhammad al-Tajiki, was among the Tajik nationals who have died fighting in Syria. Akbarjon Djalilov, the 22-year-old Russian citizen born in neighbouring Kyrgyzstan alleged to have carried out a suicide bomb attack that killed 15 people in Saint Petersburg in April, was also a martial arts enthusiast. Tajikistan, ruled by strongman Emomali Rakhmon, has recently cracked down on forms of Islamic dress popular in the Middle East, such as Arab-style head and face coverings like the hijab. Reports that police have forcibly shaved the beards of thousands of men are also widespread. Rakhmon, a secular autocrat, has been the country's president since 1994. He led the country out of a five-year civil war that began shortly after the country gained independence from Moscow in 1992.